Sturdy, practical mobile work platforms that can be moved easily from one location to another. Fully welded tubular steel construction with either an epoxy powder coated finish in Grey or Galvanised finish. We would recommend Powder coated finish for indoor use and Galvanised finish for outdoors. Universal Access Platform End & Side Rails can be fitted for additional safety. 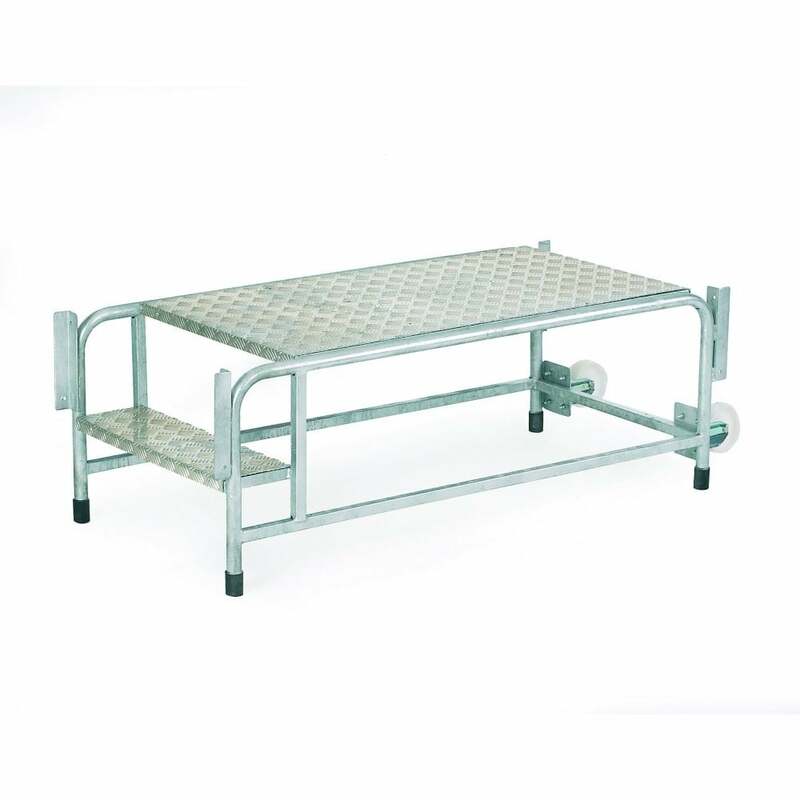 Non-slip Aluminium platform & treads to ensure maximum safety. Fitted with castors at one end to enable the unit to be lifted and moved to your desired location with ease.